The following is a message from Andrew Kirby, general manager of the Lexus worldwide product and marketing planning division, who has asked to address Lexus Enthusiast readers directly from time to time. Happy New Year! Thank you for all your support and advice throughout 2012. For all of us at Lexus, 2012 was a positive year. Global sales represented the second highest year in our history, with countries like Russia, Saudi Arabia, China & Korea achieving their best ever results. Of course, it’s our vehicles that made this possible — not only did we introduce some amazing concepts with the LF-LC and LF-CC, but we continued to revamp many of our models. By the way, keep your eye out for our Lexus Short Films series. At Lexus, we want to celebrate the creativity of new directors from across the world, and help to bring these stories to life. 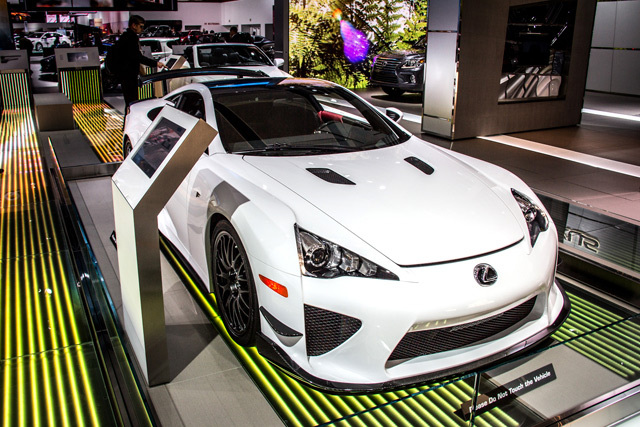 You will soon see one of the film’s production diaries featured first here on Lexus Enthusiast.